WhatsApp is an application that is designed to be an alternative to the tradition SMS or text message. With phone companies charging heftily for each SMS or text message sent, WhatsApp aimed to give consumers a way to send as many messages as they can over a data connection to anybody in their contact’s list, as long as other person has the app installed as well. Users could send not only text messages but also voice notes, images, and videos, without paying extra for it. This is the primary reason for the app’s popularity. However, as it is a free app, there is the question as to how it supports its costs. WhatsApp is available on nearly all major platforms, including iPhones, Androids, Blackberries, Windows Phones, and, most recently, even on desktops via WhatsApp Web. 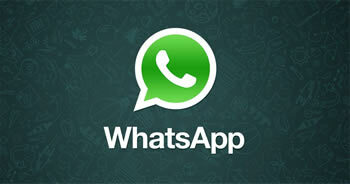 On most platforms and depending upon the region, WhatsApp is free to download. However, in some regions the app costs about $1 to download (or whatever the equivalent cost in that currency is). In addition, the app is free only for one year, after which the app charges $1 for each subsequent year. The app has over 700 million active users, so its yearly revenue can be estimated at $700 million per year. Its number of active users is constantly growing. In fact, WhatsApp is adding around a million users per day, all the while increasing its revenue. In addition to subscription and download charges, other apps also incorporate ads. They also make money from online games, and from selling emoticons and stickers. While, WhatsApp does not show any ads, that could change over time. The company may decide to show ads in order to garner more revenue or add additional revenue streams. Since Facebook acquired WhatsApp, it may even access the user’s behavioral data and personal information and use it to improve consumer targeting in Facebook ads. Hence fortifying its own revenue streams.